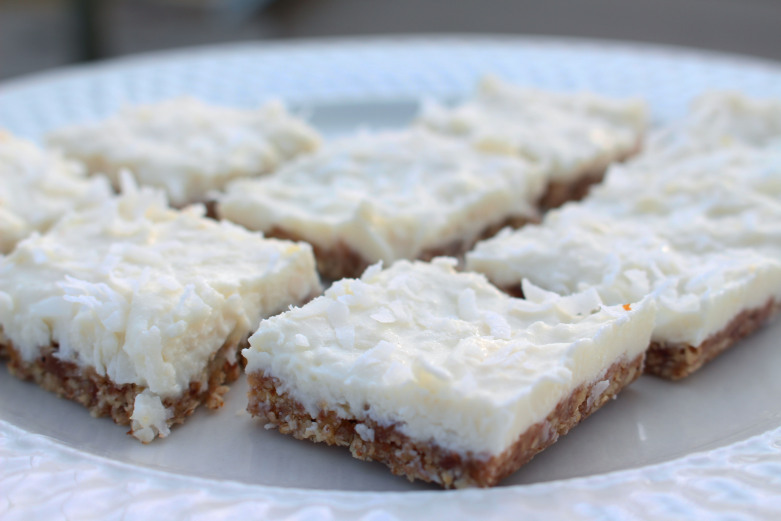 These Coconut Cream Pie Bars Taste Indulgent, But Are Actually Surprisingly Good For You!! We love trying out new recipes to satiate our sweet tooth, but every once in a while we like to come up with desserts that are a little less cloying and don’t make us fear as much for our dental health. Luckily, a good friend of ours from The Loosely Followed Recipes introduced us to these delicious coconut cream pie bars! They sound decadent and indulgent (and they taste decadent and indulgent! ), but there’s actually not much added sugar and they’re full of fiber and protein! Gotta love a dessert that’s actually good for you! Grease a 9-inch square baking dish with coconut oil, butter, or non-stick spray. Combine almond, pecans and oats in the bowl of food processor and pulse until finely chopped. Add dates and coconut flakes, then pour in honey, coconut milk, condensed milk and vanilla extract. Pulse together until mixture is sticky and holds together. 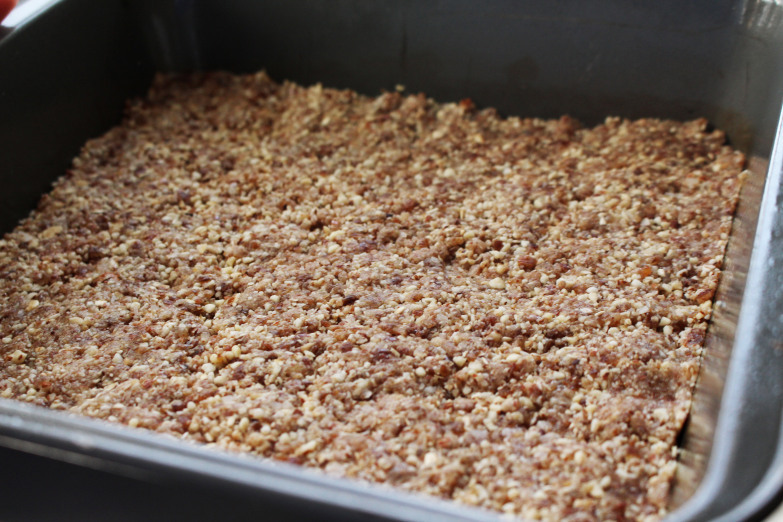 Transfer crust to greased baking dish and use your hands to press it firmly into an even layer, making sure to get it in all the sides and corners. Place baking dish in freezer to help the crust set. For the filling: combine coconut oil and coconut flakes in the food processor and pulse for 1 minute, or until no longer grainy. Add yogurt, condensed milk, coconut milk, honey, lemon juice, and extracts, and pulse until smooth. Pour mixture into the chilled crust, then freeze for 1-2 hours, or until set. Cut into squares and serve chilled!